People like using new (and presumably better) technology. When they’re using devices they like, they can be more productive. Cost savings. Subsidizing employee device purchases may cost significantly less than acquiring devices as enterprise assets. Simplified maintenance. When employees own the devices, the enterprise has less to maintain and support, freeing up resources for other tasks. A happier workforce. Employees want those gadgets, and enjoy using them – with resulting gains in both morale and productivity. IT may not always have the resources, or even the inclination to support BYOD policies. Budget, security and support factors all push IT toward a more cautious approach. Security challenges. Protecting sensitive data on employee devices against malware, loss and theft is more difficult when more platforms are involved. Troubleshooting outages, software failures and other issues can be more complex with more client platforms in the mix. And ensuring consistent software – from individual apps to OS versions, along with related licensing requirements, becomes more complex. Applying corporate governance standards and compliance-related policies will likely prove more challenging. Responding to end-user trouble tickets will be trickier, and support teams will need to know where to draw the line on device-specific support. Performance and suitability. To ensure that employee-provided devices can meet enterprise demands, IT could find itself conducting an ever-expanding device-vetting business. Even then, some employees may reject subsidies in favor of other devices they like. 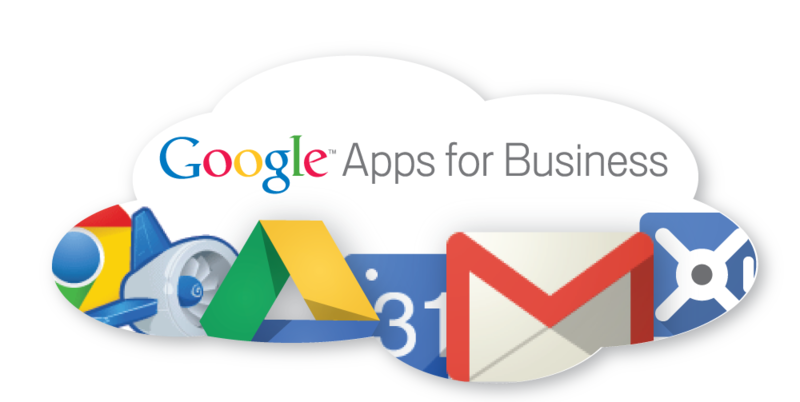 With Google Apps, both data and functionality live in the cloud. Only input and presentation are handled on client devices, and that happens in the context of highly standardized browsers. What does this mean to IT departments worried about BYOD challenges? Data security: enhanced. Documents, messages, calendars, whatever – they’re all in the cloud with Google apps, minimizing what might be on a lost or stolen mobile device. The data is also stored redundantly so there’s no worry about loss or corruption in the cloud. Finally, Google Apps gives IT administrators the power to remotely wipe, lock or block employee devices – so even data created by other apps can quickly be safeguarded if a mishap occurs. Performance: a non-issue. If a device can run its browser smoothly and access the Internet, then Google Apps will perform handsomely on it. Browsers don’t demand a lot of memory or processing power, so on almost any device a user prefers, Google Apps excels. Training and Support: Simplified. With Google Apps, we can help with your device-specific training and support can be virtually eliminated. While some IT groups may still need to support certain device classes, they’ll likely be able to focus on helping users with apps, not device or OS quirks. Training is easier too, for the same reason: every user, regardless of device, will experience the same interface. At Specsavers, a growing chain of optician services, workers frequently travel between locations. As devices began to proliferate, the company launched a pilot project deploying Google Apps to 80 key users. Soon, the IT department had rolled out Google Apps to 2,500 staff worldwide. Specsavers’s pilot project was an ideal strategy for evaluating cloud-based computing and Google Apps – and demonstrated successfully how BYOD could be worry-free. To see how well Google Apps can help your enterprise take advantage of today’s plentiful, powerful devices – while keeping your general workforce and your IT unit more productive – contact us or visit our website today. © 2013 Google Inc. All rights reserved. Google and the Google logo are trademarks of Google Inc. All other company and product names may be trademarks of the respective companies with which they are associated. OneCloud Networks is a Google for Work Partner.